Posted on March 31, 2017 at 3:26 pm. What would you do if a giant donation was handed your way by an organisation that stood against everything you believed in? Would you be thankful for the cash injection or refuse the money on moral grounds? That’s exactly the dilemma faced by a religious charity in rural Tasmania as they make plans to open a new drug and alcohol rehabilitation centre. Teen Challenge Australia is a non-profit community organisation assisting young people overcoming life controlling addictions like drugs, alcohol and gambling, and they are being criticised for accepting a $20,000 donation from the ALH Group – a Woolworths owned conglomerate that owns hundreds of pubs, liquor stores and pokies venues across the country. ALH Group was introduced to Teen Challenge Australia by Senator Jacqui Lambie in a meeting last week, leading to the $20,000 donation. 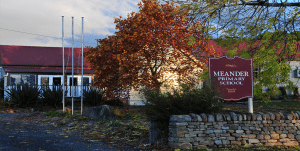 Teen Challenge Australia posted news of the generous donation on its website and was hit by major criticism from local organisation Meander Area Residents and Ratepayers Association (MARRA), who have been vehemently against the new rehabilitation centre from the start. Ms McSweeney said, “Teen Challenge is a drug and rehabilitation service and we thought that they would have had some guidelines or protocols on suitable donations. We think they should have more concerns about who they are accepting money from … being that industry [ALH] is responsible for addiction, gambling and alcoholism. The new Teen Challenge rehab facility, to be named Home of Hope, will be located within the former Meander Primary School. The 22-bed facility was approved by the Meander Valley Council earlier this month. Despite MARRA’s intention to lodge an appeal against the approval, Teen Challenge Tasmania executive director Tanya Cavanagh is confident the rehab facility will be go ahead and expects doors to open by the end of the year. The ALH Group has so far declined to comment, but information on their website reveals the organisation donated $1.5 million in 2015 to various charity organisations, including the Salvation Army and the Leukaemia Foundation. ALH employs over 15,000 people across Australia and describes itself as Australia’s leading pub operator of electronic gaming machines, wagering, sports betting outlets and KENO. This is a tough one, as it certainly presents a moral dilemma, but it’s easy to see both points of view. For Meander residents who are against the new rehab facility, acceptance of the donation is just another bit of ammo to criticise the religious organisation. For the Teen Challenge crew, money is money, and a $20K donation will be incredibly useful regardless of where it comes from. Given the millions of dollars Aussies spend on gambling in ALH venues each year, a $20,000 donation is pretty small in the grand scheme of things, so it’s only fair at least some of their revenue goes into helping a problem they helped create.